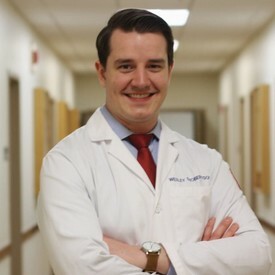 Dr. Wesley Robertson was born in New Brunswick, Canada, and grew up just outside of Harrisburg, PA. His lifelong love of science and people lead him to pursue a career in dentistry. He graduated from Temple University Kornberg School of Dentistry with a growing passion for caring for others. Outside the office, Dr. Robertson is an avid reader and enjoys activities such as bike rides and cooking. Dr. Nithila Sivakumar, DMD, grew up in Virginia and is a graduate of College of William and Mary with a major in Biology and minor in Psychology. Dr. Silvakumar completed Doctor of Medicine (DMD) from Case Western Reserve University, Cleveland, Ohio. In Cleveland, she carried out community services that included extractions, oral cancer screening and application of sealants and oral hygiene instructions for school children. Dr. Silvakumar also participated in clinical dental research at Colgate-Palmolive, New Jersey. Subsequently, she completed one year of General Practice Residency (GPR) at Bronx Lebanon Medical Center, New York, where she gained experience in restorative, fixed and removable prosthetics, periodontics, endodontics, and oral surgery. She has relocated to the Philadelphia Metro area and is looking forward to creating beautiful smiles!